Here are printable materials and some suggestions to present letter F. The presentation ideally should be part of farmer themed activities and/or crafts. This is good opportunity to review the topic of the farmer as a community helper. Present the main responsibilities of the farmer and how important their job is to the community. Read this fable that richly illustrates the work of a farmer, and conveys a message that labor [industry] is a treasure. It is also appropriate for Thanksgiving, A Harvest Festival to say thanks for a bountiful crop. Finger and Pencil Tracing: Trace letter F's in upper and lower case with your finger as you also sound out the letter. Invite the children to do the same on their coloring page (first presentation) or handwriting practice worksheet. Encourage the children to trace the dotted letters with your choice of sharpened crayon, fine tip marker, coloring or regular pencil and demonstrate the direction of the arrows and numbers that help them trace the letter correctly. During the demonstration, you may want to count out loud as you trace so children become aware of how the number order aids them in the writing process. Find the letter F's: Have the children find all the letter F's in upper and lower case on the page and encourage them to circle or trace/shade them first. Coloring Activity: Encourage the children to color the image in the coloring page or worksheet. Letter F words (initial consonant sound): Letter F Worksheet and Mini Book These materials can be used to reinforce letter practice and to identify related words. Read suggested instructions for using the worksheet and mini-book. Discuss other letter F words and images found in the worksheet. If you have illustrated alphabet books you can also use images in them. You can also display other posters and coloring pages or even make a letter F classroom book. Visit Letter F Printable Activities to make your choice. Incorporate high-frequency words that have letter F such as: for, five, from when composing sentences for the mini-book. 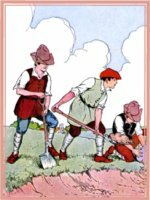 Letter F Word Search & Handwriting Practice: The four and eight word search game features a farmer and letter F words with pictures and handwriting practice. 1. Print your choice of printable lined-paper and encourage children to draw a farmer behind the page or select a farmer theme coloring page. 2.Drawing and writing paper: Encourage children to draw and color a flower or flowers and write letter F f.